Sometimes figuring out how to blend all of the things you love can be difficult. 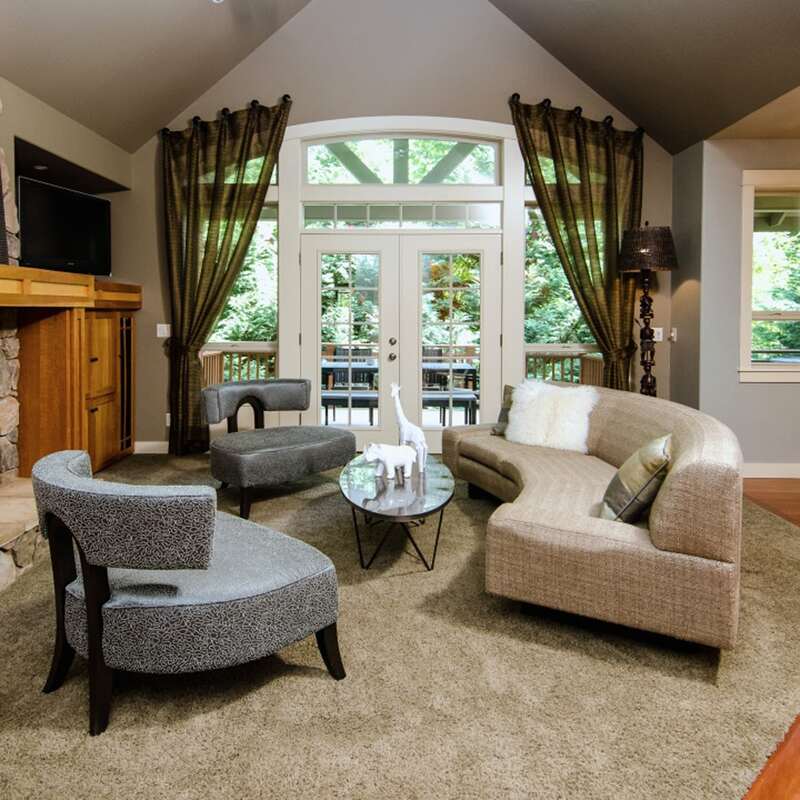 This couple hoped to combine treasured objects collected from their travels around the globe with a love for clean-lined contemporary design in a home that is family and pet friendly. 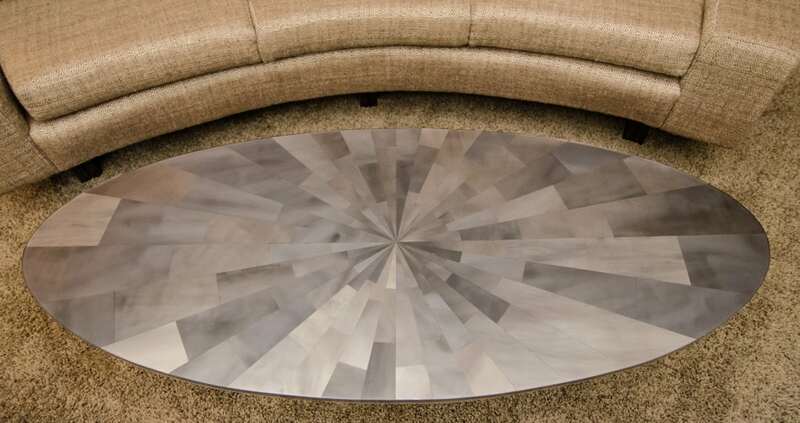 Pangaea Interior Design rose to the challenge by designing sleek custom furnishings that create a perfect backdrop for global style. 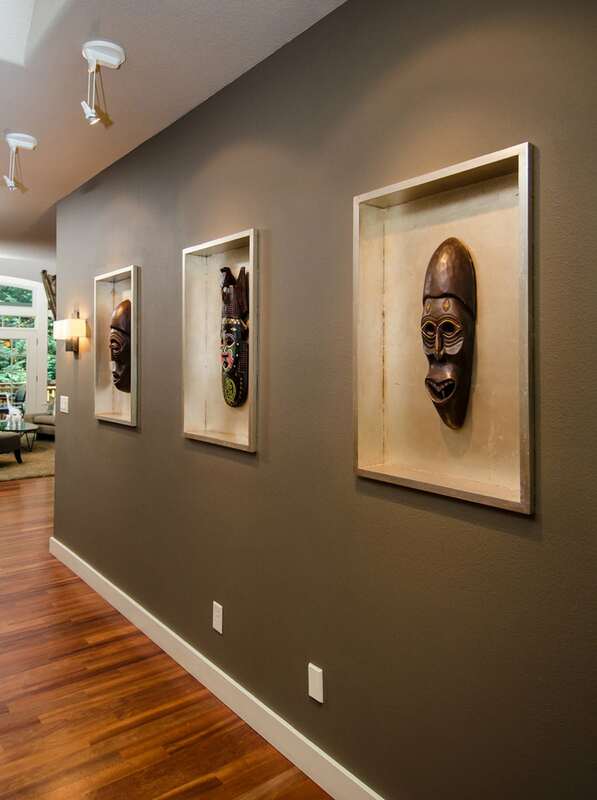 In the entryway we designed minimal, silver-leafed niches to display a rotating selection of African masks. 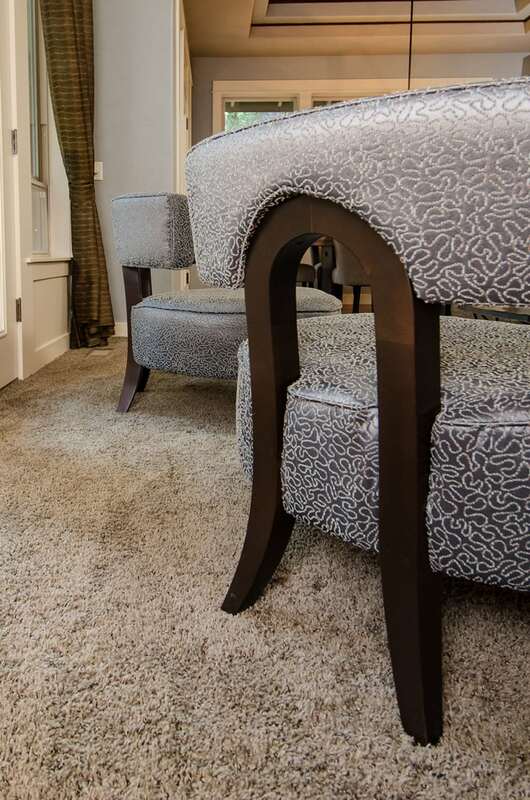 The curved sofa and elegant accent chairs are also Pangaea’s original designs covered in durable Kravet fabrics that hold up to daily family use. 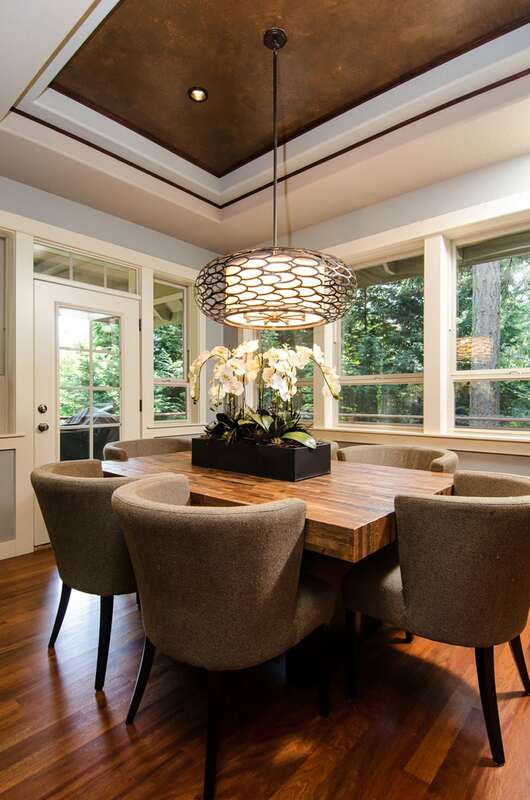 The reclaimed wood of the contemporary dining table ties in well with the rough-hewn African pieces and is worry-free at mealtime with young children. We pulled our color palette from a Tibetan ceremonial robe hanging above the stairwell. With all of these wonderful artifacts, it was important to improve lighting to spotlight the pieces, so we upgraded existing ceiling fixtures and added spotlights for each piece of art.